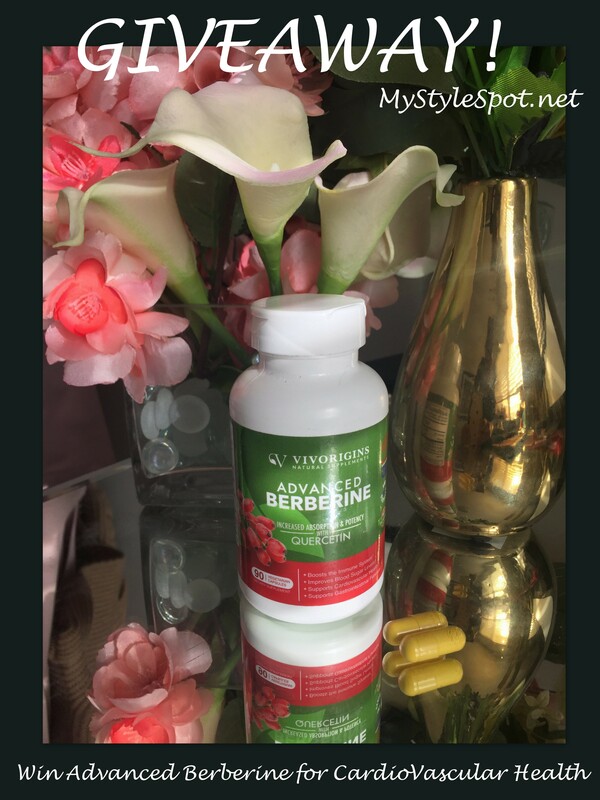 Advanced Berberine for Cardiovascular Health & Digestion + a GIVEAWAY! Is it just me, or does health become increasingly important the older you get? I know in my 20’s, sure I never wanted to be sick, colds and flu are the worst, but that was about the extent of my health problems at that time (I know, lucky!) but it seems like once you move on into the 30s, lots of other not-so-fun things start popping up, achier muscles that take longer to recover, arthritis-like symptoms in the joint (I get in the knee now after overworking it too fast for a 5k run several years ago), embarrassing female problems, ugh the list goes on. I can only image what the 40s will be like! As I’ve run into some health issues, I’ve gotten increasingly more upset with western medicine. It really annoys me how we just treat the symptoms with antibiotics and pain-killers, but often times never really get to the root of the problem. So I’ve been trying out more eastern-style medicine lately, like homeopathy for one, and have been thrilled with my results, but not so happy that insurance covers absolutely nothing! I’m often running into new supplements I’ve never heard of an am always thrilled to learn more and how it can help me. One I recently just came upon is Advanced Berberine. I actually had never heard of this supplement so I was curious to learn more and how it could benefit me! It turns out, the supplement works great to Support Cardiovascular Health & Digestion, as well as Boost Immune System & Energy Levels, and increase healthy Blood Sugar Levels too! Wow, this supplement is a powerhouse of goodness! I’m particularly interested in the immune system benefits, especially this time of year when cold and flu season starts to settle in. I do everything I can to avoid the nasty sicknesses, so I love that taking Advanced Berberine from Vivorigins can help me do just that! As I reach my late 30s, cardiovascular health is becoming increasingly more important to me. Heart disease is still the #1 killer of women, so it’s important to have it on our mind ladies and do what we can to prevent it, even starting now in our 20’s and 30’s – actually ESPECIALLY starting now! But it’s never too late to improve your heart health! Advanced Berberine also helps with improving energy, and who doesn’t want more of that? I feel like the winter time really slows me down and makes me lethargic because I don’t want to leave my warm house! I love that taking this supplement daily can help improve my energy as well! There are actually a number of benefits you can get from this amazing all-in-one supplement! Besides what I’ve just listed above, Advanced Berberine works great for destroying bad cholesterol (again helping improve heart health! ), lowering inflammation in the body, improved insulin sensitivity, reduces triglycerides, reduces fat in the liver, suppresses proteins that can contribute to cancer growth, supports mental and brain health, provides powerful antioxidants to the body, AND it may help with weight loss too! Hello! You had me at weight loss! While there are plenty of Berberine supplements out there, you will want to make sure you get one containing Quercetin (like Vivorigins’ Advanced Berberine) – which helps increase the potency of the product and absorption into the body. Without it, you’re just wasting your money and you might as well just be flushing those pills down the toilet! Quercetin (which is the best absorption agent) found in Vivorgins Advanced Berberine, is also effective at reducing allergy responses, also aids in cardiovascular health and supports healthy blood pressure too. It is also a powerful antioxidant and anti-inflammatory agent too! When buying Advanced Berberine with Quercetin from Vivorgins, you can expect high-quality ingredients that will not only benefit your health but are also good for the planet too. These natural products are tested and manufactured in the USA in an FDA registered facility that adheres to Good Manufacturing Practices, in order to ensure the highest quality and to deliver the best benefits possible to consumers. These tablets are non-GMO, free of artificial preservatives, gluten, wheat, rye, dairy, soy, yeast sugar, and nuts. Want to try out Advanced Berberine for yourself? Check it out Here on Amazon! Try it risk-free for 30 days with a money back guarantee if you’re not completely satisfied! Also, for my lovely readers, save 50% off your purchase! Email me at CindyBatchelor@yahoo.com for your unique discount code! 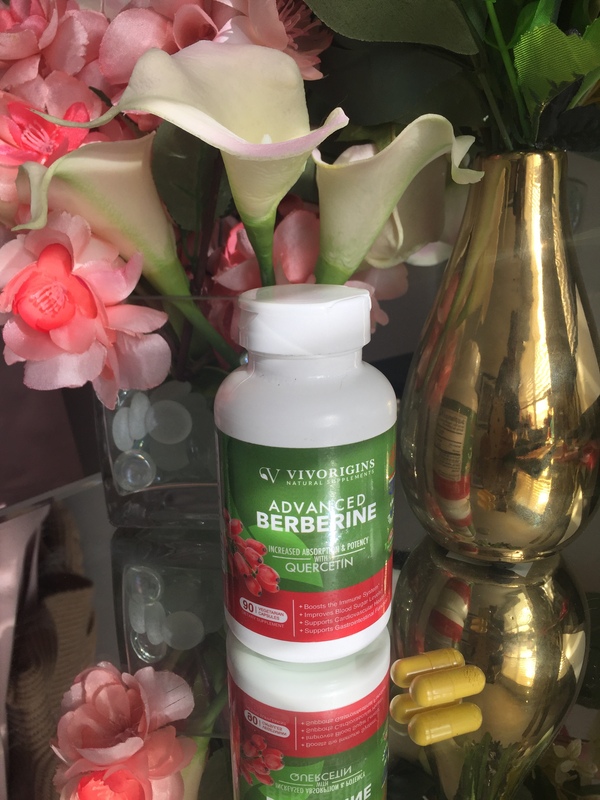 Also, the lovely people of Vivorigins are letting me GIVEAWAY some Advanced Berberine (90 count bottle) to 3 of my lovely readers to try out for themself! ENTER TO WIN this amazing digestion and cardiovascular aid in the Rafflecopter form below! Contest is open to U.S. Only! *MyStyleSpot is not responsible for prize fulfillment. *This is a sponsored post. However, all thoughts and opinions expressed in this post are solely my own. I only share reviews with my readers, I feel will be beneficial or informative in some way. Really need an Immune boost – I work with the homeless and have already caught 2 colds this fall. Lowering inflammation and energy!! I am SO lethargic all the time! Ugh!